Work for Private Internet Access? Learning about Private Internet Access? "I can't believe the speeds!" The speed I am getting with this software for traffic is very high - at least compared with other software of this kind. I was impressed the first time. Usually these types of VPNs are hit and miss when it comes for speed, it's flaky, unstable, etc., but this one has very rarely slowed down, and usually picks up if you reconnect. I also love the multitude of locations in different countries to choose from. Really helps test our international focused apps. Not much to dislike - I can't think of one thing that I would change. We develop applications that target multiple countries and it's essential to test performance and connectivity from multiple locations around the world as well as the way customers visit our site from multiple countries - by showing them location-relevant content on the sites. Private Internet Access allows us to do that. "Keep your internet activity concealed on public and free wifi"
I like the easy of set-up and use of this app. My husband and I use the one account for all of our devices: computers, ipad, laptop and phones. The one downside is that I have issues sending emails while the app is connected. Some of the IP address are blacklisted and emails that do get sent through may be blocked on the receiver end. It's a great app for online activity while using free and public wifi. I don't recommend using it for daily activity at the office since there are issues in sending emails while the app is active and emails may be flagged as spam by ISPs, since some IP addresses are blacklisted. Using free/public wifi while at airports, conferences, meetings in coffee shops and staying at hotels. Keeping my internet activity obscured and safe from hackers. "Private Internet Access - My favourite VPN"
If u want to be safe you should take that program. Private Internet Access offers us a lot of servers located in many countries. Our data are encrypted so we can feel safe. That software has a very good advanced firewall. Private Internet Access is available on the most important and most popular platforms, so we can use it on all devices. This program puts the security of customer data first. Sometimes the connection to the server is lost. Privateinternetaccess is hard to use for new users. The first configuration is troublesome. This software do not offer live chat also we must be waiting for an answer when we are having any problem. In my opinion, the interface should be more modernized and user-friendly. Private Internet Access gives me the opportunity to use the Internet safely. Now i can use public hotspots and our data are safe. Now i can send messages without fear that someone can interceptor messages or conversations. "One of the best VPNs available in the market today. " Its super simple to use. One click is all you need to get going. The performance is also nothing short of fantastic. Over all the time I used it never had issues with it being slow or sluggish. One of my major concerns was that I wouldnt be able to properly view videos online with a VPN being active, happily proved wrong by Private Internet Access. I didnt even notice any difference between the VPN being active and not active when it came to daily usage to the point where I just leave it on by default and dont even worry about switching it off. Its rock solid and super reliable. I would like to be able to select specific servers from specific location in certain scenarios. Its not a major issue (and its possible I might have missed that option if it already exists somewhere) but it would be a nice option to have. Unfortunately (as far as I know) there is no option to try it out. But they do offer money back guarantee. I would say start with the one month option and then if you like it get the 1-2 year subscription. Run a speed test post connection to check what kind of bandwidth you are getting. My primary concern was safety, speed and security. Private Internet access takes care of them all. If you happen to travel frequently (and especially to locations where internet access is monitored or restricated) for business (or even personal) purposes then a VPN is an absolute must have on your Laptop. It is a life saver. I like that PIA is easy to use. A simple flip of a switch in their app and you're basically connected. Occasionally, the service does not connect to the server and you're left hunting for a "good" server to connect to. Also, occasionally, connection speed is noticeably slower. Make sure you set up PIA on all of your devices, mobile, laptop, etc. It's incredibly simple to set up and getting secure. Privacy of connection. I often work from public places like coffee shops, co-working locations, etc. PIA allows me to know that my internet connection is always secure, no matter how public the wifi I'm on. Information is completely private over the VPN and PIA does not retain information about your usage. The VPN is the forefront but they also include access to proxy via settings manually entered or by using a browser extension. The icon is cheesy and their website is nowhere near as easy to use as other services in the same market. 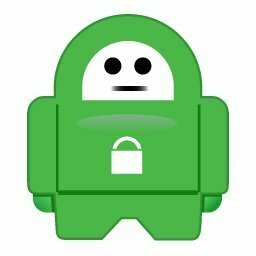 This is not the best VPN for less technical users, but it's extremely good for anyone with some know-how. Compare with other services based on their policy on log collection, open source, and cross platform availability. PIA is amazing but you want to make sure you are getting what you need for the price you want and this market has a TON of competition. Accessing region-locked websites and content, creating private connections on public networks, and preventing ISP's from snooping private data. It wasn't until after using that I realized how great the connection is, stable and fast enough to stream media. "Easy to use VPN with a good amount of connection points"
The product works on Android, iOS, Windows and Linux (all of which I use) and is convenient to set up and use. It has a lot of connection points around the world to use, so when I am traveling and using non-trusted networks, it comes in very handy. No complaints so far, and I have been using it for around 3 years. None. Product fills the need I have for it. Any time I need to connect to an insecure network and I am out and about or traveling, but need to do work. PIA does what I need it to do. The performance is very good as well. "Using PIA for increased security"
The protection the VPN provides is great and it does not log user data. It does not reconnect automatically so sometimes it is not running without my knowledge. Sometimes it will not reconnect without killing the processes or rebooting. More sites are rejecting the PIA VPN sites, however this is indicative of a great attempt to capture personal information from the community and many VPN provider servers make it on the "list"
Compare to other products. Cost and usability and security is favorable with this product. PIA is so easy to use and the speeds are great! I use this a lot to VPN out of the school WiFi to play games and watch netflix. Sometimes the VPN disconnects randomly but after doing an update it works great. I don't use this for business purpose but I am more productive wherever I am and can browse the internet safely wherever I am. You stay secure and hidden when you use such software, . You just feel safe. When I did a research about VPNs, one of the solid ones against the trials and stayed strong was PIA. It has limited countries, not all of them of course. And also some servers are slow. "Works well most of the time, some speed issues and stability problems." Fantastic amount of available servers all over the world. Stability with the app was not great, needed a reinstall on a machine with absolutely no reason for it. More difficult to setup with the password and activation complexity. Try and see if it works for you, I just found glaring usability issues and stability problems on my own machines. Providing anonymity to myself and anyone that works for me as I'm not interested in all the tracking behavior that has plagued the internet in recent years. "I love it – everything I look for in a VPN"
"Simple, no hassle, no problems"
Easy to get started with just a download. Works on my Android phone and computer. No default automatic renewal (but they do send friendly reminders when account is nearing expiration). None. Nothing to dislike. I've had no issues. If you need a VPN, they make it easy to come on board and get the job done easily. Trying to test if our geotargeted pages are working. "Easy to use and inexpensive"
The ease of use and getting it set up is amazingly fast. Sometimes I can't access important sites due to the vpn. "A stable reliable and affordable VPN service"
Theres not much to dislike, rock solid performance and reliability and one of the more affordable options out there (especially if you are able to find an affiliate code). It's easy to use and the customer service is very responsive. I find resetting my password over and over again quite tedious. Be careful to only subscribe once. Auto-billing is a surprise! I need encryption and privacy for some of my projects. It has given me those. "Works very well as primary VPN"
Seamless use. No slow down on internet or internal processes. Auto startup and connection on PC reboot. Port forwarding doesn't work as well as I would like. Periodically enabling TCP port stops the VPN from connecting. VPN services and port mapping. Used to secure data traffic and IP. The " Private Internet Access" Software has been very useful to me! There is nothing I dislike about The " Private Internet Access". I'm solving a lot of issues regarding privacy and sharing documents with my team. * We monitor all Private Internet Access reviews to prevent fraudulent reviews and keep review quality high. We do not post reviews by company employees or direct competitors. Validated reviews require the user to submit a screenshot of the product containing their user ID, in order to verify a user is an actual user of the product. Company: London Trust Media, Inc.
Hi there! Are you looking to implement a solution like Private Internet Access?